FOREVER FAMILY SERIES BOX SET by Trudy Stiles LIMITED TIME SALE ONLY 99c!!! 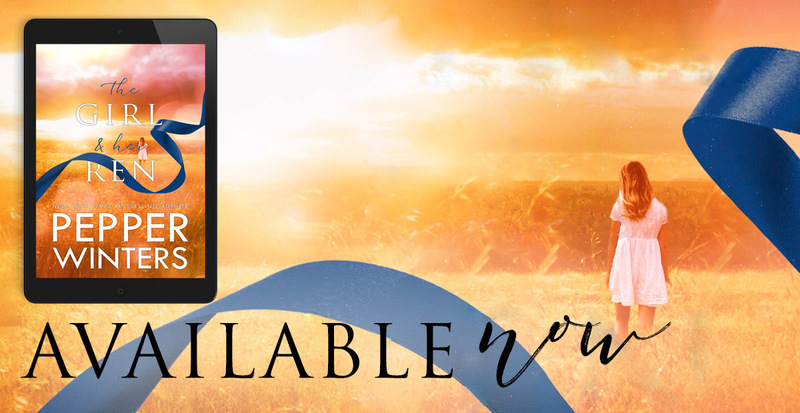 99c SALE!!! 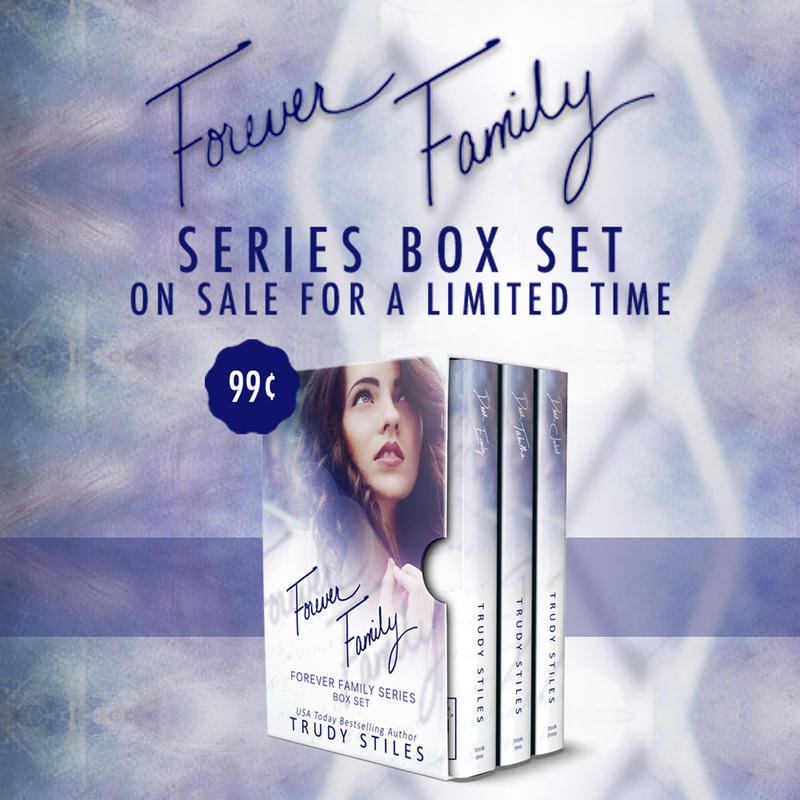 The Forever Family Series Box Set by Trudy Stiles is only 99c for a limited time!!! The highly rated and emotionally addictive Forever Family series is now available in this exclusive box set. 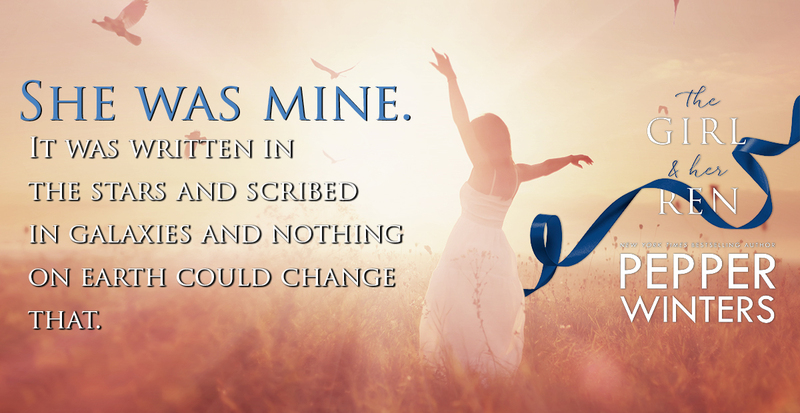 Get Dear Emily, Dear Tabitha, and Dear Juliet for only 99c. This is the first book of Carola Lovering, that I have read. So let me share my thoughts. 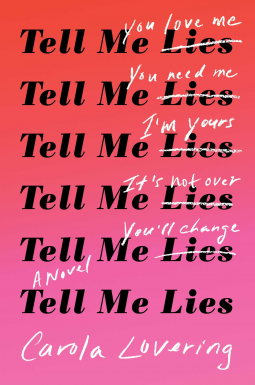 Tell Me Lies starts bounces from the present to the past throughout the entire book. It starts off in the present where Lucy is heading to New Jersey to be a bridesmaid in one of her closest friends wedding. A friend she met while in college and stayed in touch after they both graduated. Lucy is excited to see her friend get married, but she isn't excited about seeing a certain person from her past.... insert STEPHEN. Lucy and Stephen have a past. A not so pleasant past might I add. Lucy settles for second best, or so I thought. However, in Lucy's mind, Stephen loved her. At least he told her that. Stephen is one of those guys that you want to kick in the balls throughout the book. He is a narcissist. He loves himself, and is so self absorbed. But yet, he seems to attract all the ladies. He plays women like a fiddle, Lucy being one of his favorite instruments. Throughout the book, Lucy falls into Stephen's trap. No matter how many times he hurts her, she continues to go back for more. This being one of the biggest problems in the book for me. I hate seeing Lucy fall victim to Stephen time and time again. While Lucy was in college, she changed. She wasn't the same girl that entered her freshman year. Grant it everyone changes while we grow, while we evolve into adulthood. But Lucy didn't change for the better. She grew distant from her friends. She began to lie more frequently. Why? All because she didn't want her friends to share their opinions with her. To tell her that Stephen was only going to continue to hurt her. Instead, she continued to allow Stephen to her more lies. I wanted Lucy to change. I wanted Lucy to be strong. I didn't care for the ending of the story. I felt like Lucy only realized what a manipulative monster Stephen was, was in the last few pages of the novel. She finally had a revelation at the very end. Overall, I would give this novel a 3 star rating. Not that the story or editing was done poorly, I was just frustrated reading the relationship between Lucy and Stephen. Or the relationship between Lucy and her mother, who she called CJ. I didn't connect with the characters or the story. Thea and I had agreed on just one night. One incredible night. The next morning, we’d walked away from each other with no strings attached. She’d gone back to her life. I’d gone back to my hectic work and social schedule, just glad that I’d had the chance to meet her. What I hadn’t expected was for Thea to pop into my thoughts so often after that night. I’d think of her smile whenever I was at a hotel bar. I’d think of her laugh when I was at a boring fundraiser. I’d think of her whenever I saw a woman with long, sleek dark hair. After months of her on my mind, I’d finally given in. I’d gone back to the bar to see her one more time. Except she’d been gone. With my child. I’d waited too long. Revenge with a side of whiskey. 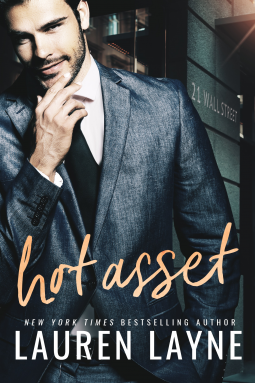 Blaire had a few love-struck weeks years ago with the ex-NFL star Jesse Beckett and has compared everyone to him ever since. She had all the feels but apparently he only had a few because when he was traded he walked away with a hug, smile and a "I'll miss you." Blaire propelled from that "in the publication eye" relationship into one where she could finally just be herself, be normal. Jason was it, hers, meant to be...or so she thought. What he was really meant to be was the best two-timing snake in the history of forever. Blaire was heartbroken with the realization that the common factor in each of these relationships was her. Something about her just wasn't good enough. Then there's the anger. She never got over her husband cheating on her but that lovely situation thrust her into a new career and a brand new best friend. Blaire and Isla both know firsthand how it feels to be on the losing side of a marriage. What better way to let that anger out than to help other people catch their spouses in the dirty lies they tell and the other beds they are falling in? Dirty Exes was born and they were serving up revenge on a gold platter with a side of humiliation for dessert. Life is moving along and Blaire is ok, maybe not happy but somewhat satisfied with her life's direction at least she was until sh finds out her latest client just so happens to be Jessie Beckett. The one guy she still holds a flame for and the one fire he has yet to be able to extinguish. There's no easy way to go about this case. And then Colin enters the picture. Hot, cocky and charming Colin, who is also Jessie's best friend and seems to be completely taken with Blaire. He's willing to help her expose Jessie... for a price, and a steep one at that. Blaire is now caught in a weird past/present love triangle that leaves her head spinning and her heart pounding with the choices she has to make. Is the past where she wants to be or is her future brighter with her present? Rachel has once again knocked us off our feet with a story that grabs us from the very beginning, shakes us up and then spits us out with a giant grin slapped on our faces. There's just enough humor for a few chuckles and amusement at the situations that Blaire gets herself stuck in. 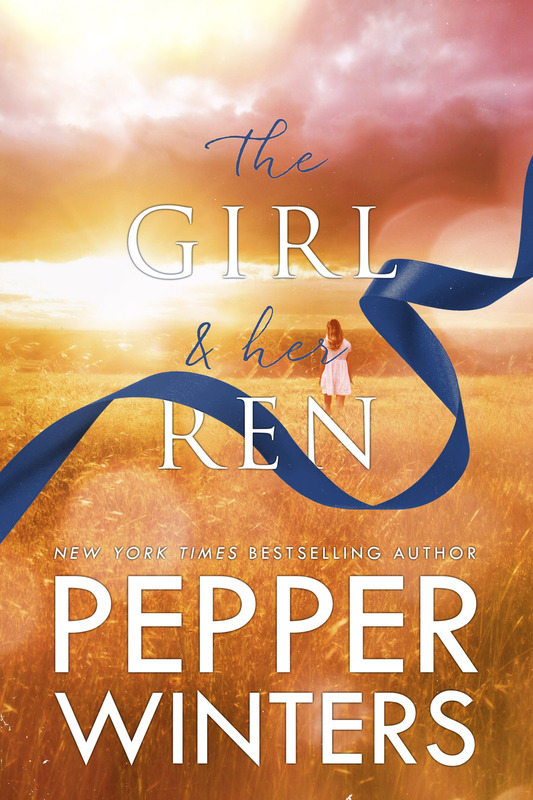 From the very beginning, you think you know which way the story will go but Rachel surprises us with a few twists that leaves us second-guessing ourselves. I adore the connection to the Matchmaker's stories because I absolutely loved those and this left me longing for the next story in the series. Another 5+ story Rachel. Please don't ever stop! !